ATXM Celebrates 10th Anniversary with Vinyl! - ALL TEXAS MUSIC- SUPPORTING DIVERSE TEXAS MUSIC! Music Store, CD, Vinyl, Satellite, Web Radio and MUCH more! The Best Little Website In Texas! My name is Mark Robbins. Some people know me as a musician – classical, rock, jazz, electronic and more. Some people know me as a studio producer with a long list of famous musicians, bands, and symphonies. Some know me as an inventor of technologies used in computers, music and more. Some know me as a Creative Director for Film and Web productions. But I am here today to invite all the musicians reading this, to jump on a “new” old bandwagon before the slow-moving herd does it. About a decade ago, we were all very excited about the “new” music download format of MP3. This allowed people with no recognition, and very little money, to go buy a cheap recorder, pose with a guitar for a picture, and put a CD out for the download services. As this went on, CDs became little more than a business card for live acts, and CD stores closed down. This was seen as “leveling the playing field” for the musicians to get exposure. Especially the musicians who believed in the old myth of being signed to a major record label for fame and fortune. While this did level the playing field, it had the unfortunate side effect of flooding the MP3 download services with metric tons of sound-alike music in every genre. And when music is bought for one dollar, then passed around for free between friends, it does not help the good musicians to survive and make a living! Eventually, the MP3 killed off the record labels and radio stations, until there are only a pair of real “corporate record labels”, and they own the national chain of ClearChannel radio stations. Because of this, all the music on terrestrial AM/FM radio became homogenized. Same sound, same look, same format, and this further killed off music for real musicians. Times grew hard. But, when times get hard, like in any depression, it takes special people and new changes to step up and get things moving. And in 2013-2014, this started to happen more and more for a couple of reasons! One is the way that web-based and satellite-based radio escaped the dreary formula of rotation radio on AM/FM (and those too-predictable Top Ten lists). Even more dramatic – and more suprising – was the resurgence of the old Vinyl LP record! You see the statistic everywhere – how 2014 saw more Vinyl recording growth in one year, than it had in the previous 40 years! (MP3 places try hard to deny it, in laughable articles based on phony sales numbers). But two major things are happening here. One is that the old Vinyl record carries full audio quality that CD and MP3 cannot match – in fact MP3 carries a compressed signal that is 5% of the real audio spectrum. And two, when a musician chooses to press vinyl records, they make actual money again. They do it by removing the mythical “corporate record deal” and market their Vinyl themselves, often creating unique marketing strategies! Yes, pressing vinyl costs more than whipping off CDs from a home studio direct to the MP3 downloads. That is why the smart musicians offer the MP3 for free – and know that music lovers will buy the full audio version in a vinyl record. Vinyl is better sound, and more fun too – the album artwork, the lyrics sheet, the posters and other prizes that come in old school Vinyl records. Best of all, smart musicians bypass the old, corrupt system by offering the recordings for sale on their own website, to ship Vinyl to customers. This puts money right in the pocket of the musicians, not the corporate piggy labels! Do you know anybody who actually made a profit selling one dollar downloads? Me neither. The process of making Vinyl records, is not only expensive, but can be very complicated. It tends to separate the really good and serious musicians from the wanna-be sound-alike stuff. As Vinyl grows in popularity at an overwhelming rate with listeners and musicians, it opens up a dead industry. People who are creative marketers as well as good musicians are making good money and a good product, because there is demand for it! Recently, a group of Texas-based musicians decided to make things easier for other musicians to put out Vinyl records. This involves a number of packages and options for any musician, who wants to make more than pennies trying to sell MP3 downloads. So, we are very proud to announce the collaboration of All Texas Music and Hand Drawn Pressing. This is a service that guides musicians to give them the best product in Vinyl for the least out-of-pocket cost, plus marketing services, and more. If you are considering Vinyl, or just want to get your music heard rather than stolen, have a look at the website www.ALLTEXASMUSIC.com and see more details there! The music business has been through a very rough time – and we are extremely proud to be a part of bring it BACK. 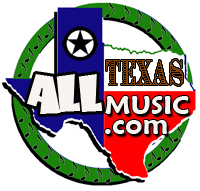 No matter what kind of music you make, do give a moment of your time to look over alltexasmusic.com and celebrate our 10th Anniversary with us!